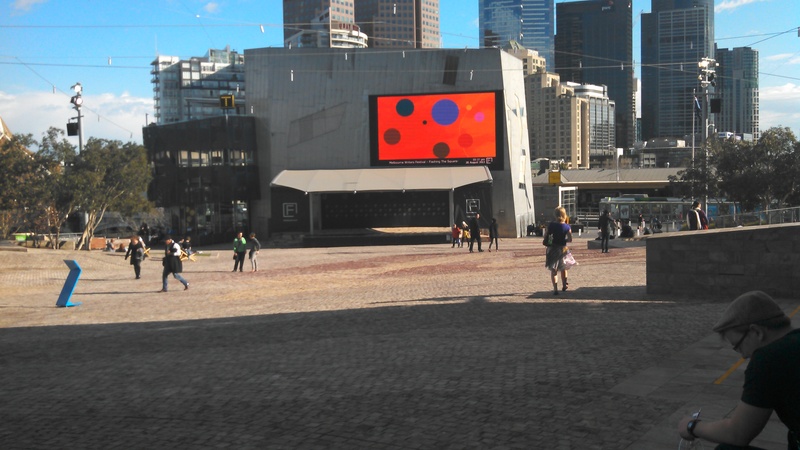 Flashing the square is now up and running at the Melbourne Writers Festival. Check the Fed TV page for schedule details (under Melbourne Writers Festival). 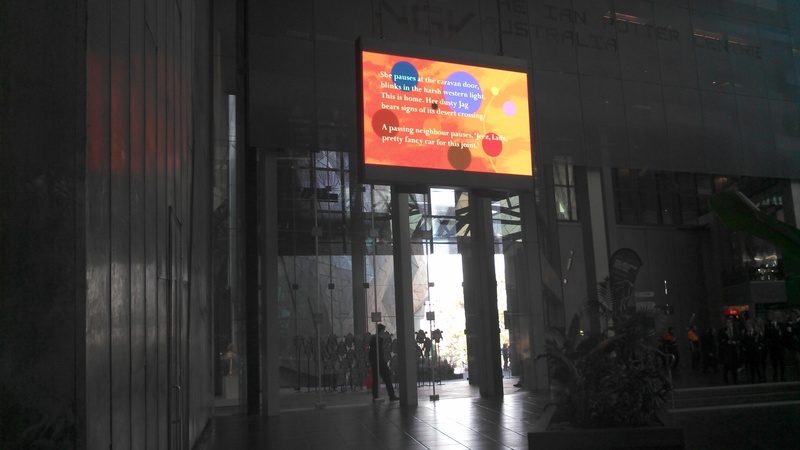 Both the stories and the Roomers collaborative text project look great up on the screens (as well as running on the big screen they’re also showing on the atrium screen near the NGV Australia entrance. With 25 degrees forecast for Sunday (September 1) there’s a great opportunity to experience the pieces when they screen between 7 and 9 pm. This entry was posted on August 30, 2013 at 2:55 PM and is filed under FLASHING THE SQUARE, NEWS & INFORMATION with tags flash fiction, microfiction, public art. You can follow any responses to this entry through the RSS 2.0 feed. You can leave a response, or trackback from your own site.